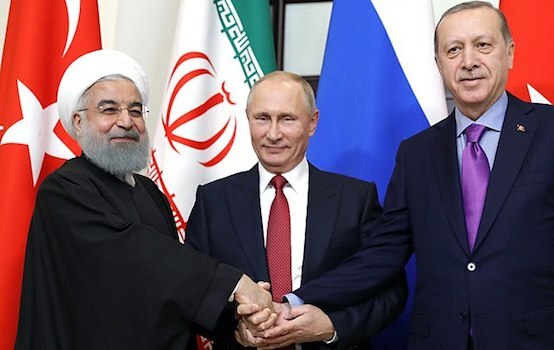 For a variety of objective and subjective reasons, the multi-vectored relations between Russia and Iran have been breaking down in recent years. Why is that? We have been so carried away by the international sanctions against Iran’s unproven nuclear ambitions that we not only ended much of our military-technical cooperation with Iran, we also hurt ourselves financially and damaged our reputation. Trade between Russia and Iran toward the end of the previous decade amounted to $3.7 billion, with 80% of that being Russian exports, much of it benefiting small and medium-sized businesses. By the end of 2012, trade had dropped by 40% and came to only $2.3 billion. 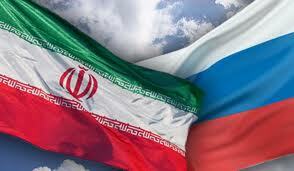 Russian exports to Iran have fallen by almost $1 billion ($2.96 billion in 2008 and $1.9 billion in 2012). As a result, dozens of medium-sized companies employing hundreds if not thousands of Russian citizens have gone bankrupt. Russia’s budget received a great deal less money than it should have. Some international and Russian analysts see these actions as another Russian concession to the West. Do we sometimes betray our partners for the the sake of the West’s goodwill? But why at such a price and to our own detriment? And what was the outcome? As we recently did with Iran, we violated our contract obligations with India and were forced to pay large damages to a reliable partner. Thousands of people at the Khrunichev factory and other domestic enterprises were deprived of a guaranteed state contract that our economy and ordinary people needed in those hard times. 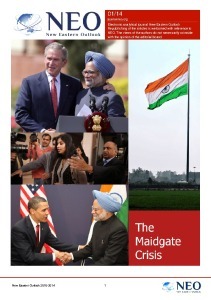 Our reputation as a partner for military-technical cooperation was damaged for years, both with India and on the international market as a whole. I cite this example to illustrate that we are once again “stepping on the same rake”without giving ourselves a way out of the situation. As several sources reported at the time, some Western companies had begun selling India cryogenic engines and components for them. In other words, over and above everything else, we had become a victim of competition. Getting back to Russian-Iranian relations, I can say that over the past year (2012-2013) the two countries have grown closer in the fight against international terrorism, drug trafficking and organized crime. Moscow and Tehran understood the need to support the current government of Bashar al-Assad in Syria. Both countries also welcomed the idea of holding an international peace conference on Syria that came out of the recent Russian-American foreign ministers-level meeting in Geneva. Iran’s ambassador to Russia, Seyed Mahmoud-Reza Sajjadi, spoke at a Moscow press conference in April about Iran’s interest in bilateral cooperation. He invited Russian investors to put money into various projects that would benefit both Iran and Russia. This country is one of ten states that have launched satellites, and it is also developing biotechnology. Its energy industry is also flourishing, and Russia can play an active part in that. We should not underestimate Iran’s stature, strength and geopolitical position in the region. Our historical and traditional partner and ally could also play a consolidating role in strengthening Russia’s positions in Central and Southwest Asia despite the fact that Iran itself has its own strategic goals in Russia’s southern “underbelly.” We need not compete for influence in these regions; rather, we can cooperate successfully to meet the interests of every country involved.